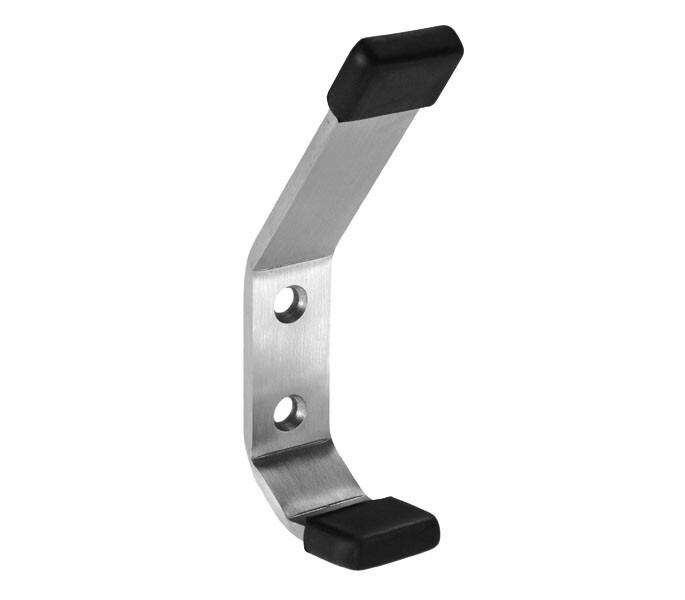 Our cubicle coat hook is a modern and cost effective choice for contemporary cubicle facilities. Manufactured from high-quality grade 304 stainless steel with a durable, long-lasting satin finish. The cubicle coat hook features black buffers on the end of the coat pegs to ensure damage prevention to the door and partition during entry and exit. Featuring a 44mm projection, the coat pegs are ideal for holding multiple user belongings including coats, hats and bags. A secure fit is obtained due to the two fixing points on the coat hook, ready for installation onto 20mm partition. If thicker doors are present, the item may also be installed onto the board with the woodscrew fixings supplied. 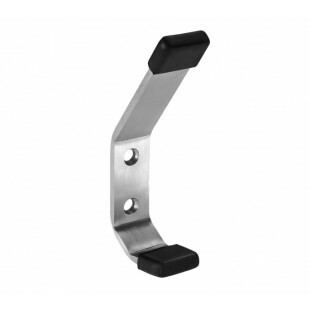 The cubicle coat hook for coats and hats with buffers is suitable for 20mm partitions. The item includes projection measurements of 44mm with a width of 20mm, a thickness of 4mm and a height of 110mm. A surface fix is required for the cubicle coat hook and it is supplied complete with woodscrews for fixing.